HomePossible is a special loan product offered by Freddie Mac that is designed for low to moderate-income borrowers. This program is currently expanded to help low credited borrowers finance homes in low-income areas. HomePossible requires borrowers to put down as little as 3 to 5% of the home’s purchase price. The down payment is flexible, meaning, the funds can come from a variety of sources, such as a family member, assistance from employer or secondary financing from a third-party company. However, borrowers must contribute at least 3% of their own funds toward the transaction before accepting any additional sources of funds, such as a gift. Because HomePossible allows borrowers to make a small down payment, they are required to purchase mortgage insurance, which is premium that will be added into mortgage payments. HomePossible’s mortgage insurance is affordable and under certain circumstances, it is cancellable. Generally, in order to eliminate mortgage insurance, a borrower’s loan balance must drop below 80 percent of the home’s new appraised value. Do ARMs work with HomePossible? Yes, adjustable rate mortgages (ARMs) work with HomePossible. Lenders offer several options, however, certain regulations need to be met. For example, HomePossible can be financed as a 5/1 or 5/5 ARM with an original maturity not greater than 30 years on 1- top 2-unit property (excluding manufactured homes). HomePossible can also be financed as a 7/1 or 10/1 ARM with an original maturity not greater than 30 years on 1- to 2-unit property. You can ask your lender for an outline of what you could expect when using an ARM HomePossible mortgage. Homebuyers that are interested in financing a HomePossible mortgage must follow specific guidelines. First, HomePossible mortgages must have an original maturity date not greater than 30 years. In addition, mortgages must be conventional, conforming loans. There are also maximum loan-to-value (LTV) ratios borrowers must meet according to their property type. For example, a 1 to 4-unit property must have a LTV ratio of 95 percent. HomePossible is available to those who are purchasing a single-family home with low to moderate funds. To be considered eligible, borrowers need to meet income limits and the property location must be marked in a low-income area. Freddie Mac utilizes an income eligibility tool to look up the qualified income requirement based on the home’s address. Borrowers must also live in the home as their primary residency in order to finance a HomePossible mortgage. Borrowers that decide to use HomePossible are required to complete an educational course that helps them prepare for the mortgage process. It is required by Freddie Mac, so borrowers know what to expect as a future homeowner. This also gives lenders reassurance borrowers are informed and knowledgeable of how this process works. HomePossible education is only required for first-time homebuyers or borrowers with Noncredit Payment References. HomePossible also requires borrowers to receive housing counseling from a Housing Urban Development (HUD) agency. The agency must be a HUD-approved nonprofit housing counseling organization. This requirement is intended to further educate borrowers and prepare them for homeownership. The education provided within this program illustrates the importance of wisely managing your money so mortgage payments, in addition to other home-related costs, are taken care of in a timely manner. The loan’s purpose is only used for a purchase transaction (no cash-out refinances allowed). HomePossible mortgages can only be used on 1 to 4-unit properties, or manufactured homes. The source of funds to finance the down payment and closing costs can come from a variety of sources, such as a gift from a family member, or financial aid from a third-party association. HomePossible also requires cash reserves after closing. This means, lenders require borrowers have at least two months’ worth of money set aside for mortgage payments, however, the amount depends on the type of property financed. For example, a 1-unit property requires zero cash reserves. A 2 to 4-unit property requires two months’ cash reserves. The credit score required for a HomePossible mortgage ultimately depends on what kind of term you finance, in addition to the property type. For example, a 1-unit other than an ARM, or a “no cash-out” refinance mortgage requires a minimum credit score of 660. A 2 to 4-unit property requires a credit score of 700 and manufactured homes requires 720. 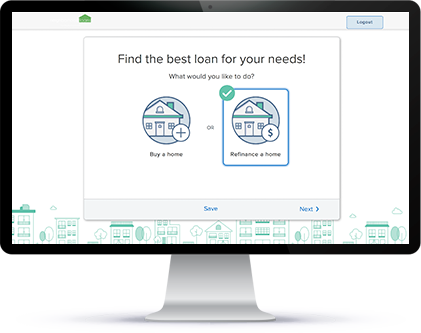 The First Look Initiative is offered by Freddie Mac that allows owner-occupant homebuyers and select non-profits the ability to purchase HomeSteps properties during the first initial 20 days of listing. This ongoing initiative. What is a HomePossible matrix? What is the difference between HomePossible and an FHA loan? An FHA loans require borrowers to make a down payment as little as 3.5% of the market value. It also welcomes borrowers with credit scores as low as 580 to apply. This mortgage loan is appealing to borrowers that have limited funds and below average credit scores. Because FHA loans allows borrowers to make a small down payment, lenders can issue private mortgage insurance (PMI). This insurance premium only protects the lender if the borrower stops making mortgage payments. The premium will be calculated into the total loan balance and mortgage payments. Borrowers can eliminate PMI when the balance of their mortgage reaches 80 percent of the new appraised value of your home. HomePossible is a conventional mortgage that allows borrowers to make a low down payment of 3 to 5 percent of the home’s market value. However, this product only permits a 30-year fixed-rate mortgage on 1-unit properties. HomePossible’s credit score requirements also vary depending on the type of home purchased, in addition to income limits and homebuyer education. Utilizing a HomePossible mortgage could potentially save borrowers hundreds of dollars in interest because they can offer lower interest rates compared to other loan products.